Rochester, NY — Frederick Fennell, legendary founder of the Eastman Wind Ensemble and former faculty member at the University of Rochester’s Eastman School of Music, died today (Tuesday, December 7) at his home in Florida after a brief illness. He was 90 years old. Widely regarded as the leader of the wind ensemble movement in the United States, the diminutive Fennell was a true giant at the Eastman School — and in the classical wind band music world at large — for creating the Eastman Wind Ensemble in 1952, which has gone on to become internationally acclaimed. Fennell periodically conducted the Eastman Opera Theatre and the Eastman Chamber Orchestra, but will always be remembered as the creator of the Eastman Wind Ensemble. In 1952, encouraged by Director Howard Hanson, Fennell developed a model for wind band performance with one player to each part, a “chamber music” approach that proved there was much more to band music than Sousa marches. After he left Eastman in 1962, Fennell was associate music director of the Minneapolis Symphony, then conductor-in-residence at the University of Miami and principal guest conductor of the Interlochen Arts Academy and Dallas Wind Symphony. He was appointed conductor of the Kosei Wind Orchestra in 1984. During his lifetime, Fennell received innumerable academic and professional honors, from induction into the National Hall of Fame for Distinguished Band Directors, to induction as an Honorary Chief of the Kiowa Tribe, to induction in the Classical Music Hall of Fame. In 1992, Frederick Fennell Hall was opened in Kofu, Japan. Fennell also received an Eastman Alumni Citation in 1977, the University of Rochester’s “Distinguished Alumnus” Award in 1981, and an honorary doctorate in music in 1988, describing him as “a man whose career and accomplishments have enhanced the School’s reputation and the place of music in our times.” He visited Eastman frequently, most recently in October, conducting the Eastman Wind Ensemble one final time on the newly renovated Eastman Theatre stage during Alumni Weekend 2004. Fennell is survived by his wife, Elizabeth Ludwig-Fennell, and his daughter, Catherine Fennell Martensen. Funeral and memorial arrangements are not known at this time. 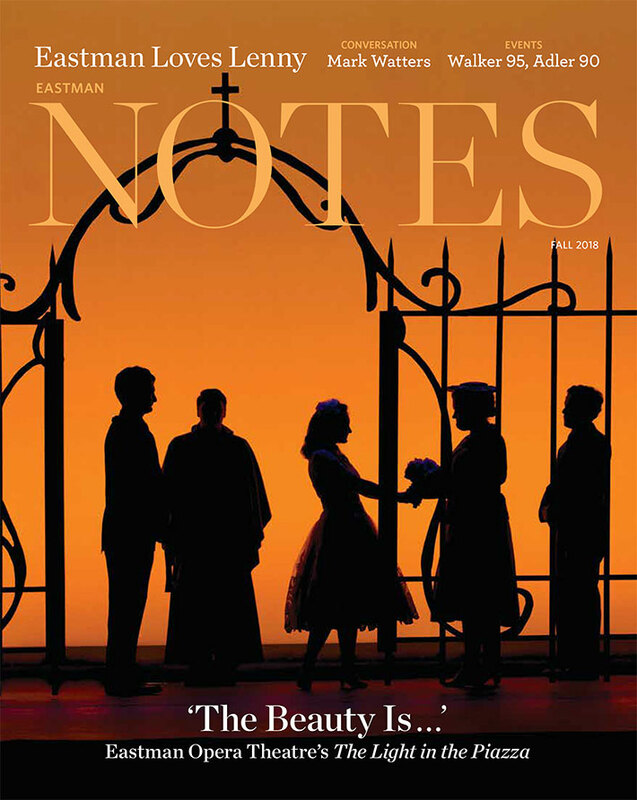 Note to editors: Photos of Fennell’s final appearance in October 2004 on the Eastman Theatre stage are available.